In his speech to the annual gathering of world political and economic leaders in Davos, Switzerland, UK Prime Minister David Cameron said today (24 January) he saw a chance for his country to become the “Re-Shore Nation” and pull jobs and economic activity “back home”. Cameron said that globalisation did not mean that “the East wins while the West loses” and that it was time to bring jobs that were once offshored back from East to West. He said that his government had set out a long-term economic plan to secure the country’s economic future. This program, he believes, reduces taxes to help hard-working people become more financially secure, and drives job creation by backing small business and enterprise with better infrastructure and lower jobs taxes, among other things. He added that there were more than 1.6 million new private sector jobs since early 2010, when he took over as Prime Minister, leading the first coalition government in the UK since World War II. Also, he said that since then, there were around 400,000 more small businesses and that over 25 million people benefited from tax cuts. 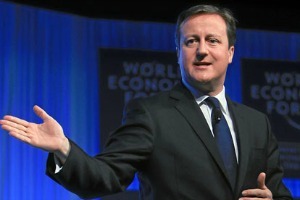 He made reference to his campaign to cut red tape, saying that £1.2 billion (€1.45 billion) of red tape has been saved. “Pushing for the removal of the most problematic EU regulations” contributed to this, he said. “Ernst & Young now say Britain is the best place in Europe for new entrepreneurs […]We are proud of the Indian investment in Jaguar Land Rover, proud that Emirates invested in a new stadium for Arsenal and Etihad have invested in Manchester City”, Cameron said. Corporation tax will soon be as low as 20%, the lowest in the G7 and as low as 10% for companies that turn innovation into manufacturing, Prime Minister also said. But Camron added that his country could do more than that and bring back home jobs that once fled to Asia. “The food manufacturer Symingtons is moving its factory from China to Leeds. Hornby the model train manufacturer is bringing some of its manufacturing from India to Britain,” Cameron said, adding that millions of jobs could be available for re-shoring globally. Among the factors for pulling back companies back home he mentioned shortening supply chains, more customisation, new technologies such as 3-D printing. Cameron said that much as Britain could be the “Re-shore nation”, Europe could benefit from this too, but only if it would act to make re-shoring as attractive as possible. “Right now, economies in Europe have a unique opportunity to accelerate this new trend of jobs coming back home”, Cameron said, adding that Europe’s main strengths was liberal democracy and “an unashamedly pro-business regulatory environment – with labour market flexibility, low jobs taxes and a willingness to pave the way for new business and new business models”. But he added that the fight had not yet been won, attacking “some in the European Commission” who according to him “seem to think that if they’re not producing new regulations they’re somehow not doing their job”. He didn’t omit to criticise the European Parliament as well, where according to him some MEPs were “tempted to gold plate every piece of legislation”. Cameron also made a passionate plea in favour of shale gas, warning that if the EU imposed “burdensome, unjustified or premature regulatory burdens” on shale gas exploration in Europe investors would “quickly head elsewhere”. “The EU must focus on growth and competitiveness to help re-shore jobs and activities back to the UK and the continent. “The benefits of EU membership to the British economy far outweigh the costs and if the EU were to become more outward-looking, strengthen the Single Market and take an approach to regulation that supports, rather than obstructs firms, there would be real potential for bringing more jobs back. European Union regulation is strangling economic growth and costing the continent billions of euros, according to a British government report on 14 October 2013 that Prime Minister David Cameron hopes will bolster his case for reform of the 28-nation bloc. Cameron set up the review of EU red tape in June, addressing one of the biggest grievances of British eurosceptics who complain that the bloc's rules are often petty, interfering and expensive to implement. 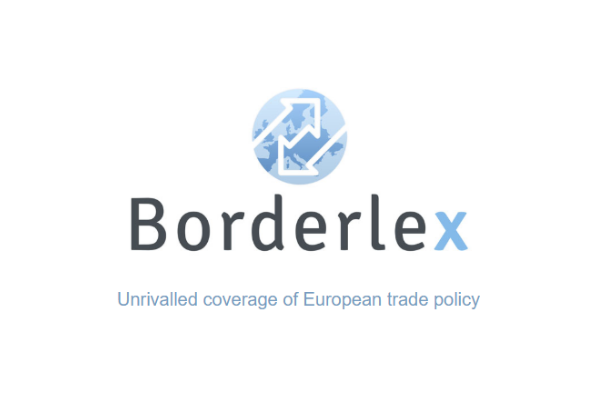 The legislation for example for financial sector in monetary area for example it is different but most competitive and efficiently because it is flexible and open for international investitor worlwide private and institutionals sectors. Well, it is not easy the armonitation in Europe about the legislation for many reasons but we must work in this direction, in my opinion, for a better live in Europe and development social. I hope to meet you and meantyme i wish you a nice sunday ! NATO will launch a war against Russia in the Caucasus. crossed over to the opposition of some power of the western regions . U.S. is long overdue to intervene in the conflict. While it’s absolutely essential to bring jobs and industry back to Europe, this plan may not bring as many benefits as it is claimed. The only way to outcompete asian manufacturers with their access to cheap labor is by introducing new labor saving technology, such as the mentioned 3d printer. This however will result in manufacturers that employ fewer workers. The jobs will be better paid but there will be less of them. Congratulations on the effort but I don’t think the problem is solved yet. A better way forward in the longer term would be fully autonomous production machinery coupled with better wealth sharing programs for the population. This is the 21st century after all, why go backwards? 12 . Muni Sutta . Per això el savi desitja sense llar i sense intimitat . Aquest savi va veure la destrucció de naixement , el pensament lògic dissipat , no té dubtes . Aquest és el savi que no sigui ambiciós , que no s’atura , però es creua . Els savis diuen, ell és el savi . Alliberat de bons , sense desitjos i la fletxa tirada , diuen els savis , és el savi . Condueix a altres a entendre el més alt , els savis diuen que ell és el savi . 214 . A les paraules d’altres persones que travessen la dreta al cor, és com un lloc fermament establerta en l’aigua . Que un lliure de la cobdícia amb facultats mentals calmat i concentrat , diuen els savis és un savi . Els savis diuen que és un savi . No enutjat , no desperta la ira dels altres, els savis diuen que és un savi . No està connectat , no pensa altament ni menysprear aquest aliment . I molt lluny i lluny de productes tòxics i la negligència , els savis diuen que és un savi . 219 . Conèixer el món a través de la més alta view3 haver creuat les inundacions i l’oceà?Els llaços tallats , no escindir i desitjos , els savis diuen que és un savi . 220 . Els dos no es poden comparar, el junyit a l’Ensenyament i romanent en ell,?I el cap de família bé domat dedicat a la seva esposa i no egoista ,?El cap de família no està ben subjecte per ferir als éssers vius . El savi constant protegeix la vida dels éssers vius . 221 . La velocitat del paó mai es posarà al dia amb la de la?Així mateix , el cap de família no pot arribar fins el monjo , ell aconsegueix la jh?na al bosc . As a first move, they move jobs abroad to have the possibility to lower salaries and welfare at home. Cheers to their supporters and electoral base, “cornuti e mazziati” (south Italian for “cheated and beaten”). REshore the jobs, NOT displace the natives with third world non-white immigrants. Why are people so anti-white?? This is one of the reasons why Cameron loves shale gas. It’s not just cheaper energy for households — a nice vote winner & more disposable income for consumers. But I think Cameron sees what shale has done for US industry. It has been a major factor in the revival of US manufacturing and re-shoring of factories from China. US factories currently benefit from 50% lower energy costs than many of their major rivals. I think shale could have a very positive effect for the UK economy & re-shoring, but I don’t think it will be as dramatic as in the US. When I saw this headline I assumed it meant the UK Government would ‘re-shore’ the UK in the sense of giving the British Isles a new shoreline – by allowing global warming, sea level rise and flooding to let rip. Not a crazy assumption, given recent policy moves at home and in Brussels by HMG.